A £5 million boost to Coventry’s year as UK City of Culture in 2021 will help to make it extraordinary, according to one of its leaders. Chenine Bhathena, the Creative Director of the Coventry City of Culture Trust, was reacting to the investment from Arts Council England that it would be ploughing £5 million of National Lottery Funding into UK City of Culture 2021. The announcement was made by Darren Henley Chief Executive of Arts Council England to civic and cultural leaders and artists in the region at an event at Coventry Transport Museum. He told the people of the city to ‘fasten their seatbelts’ for an exciting ride before Chenine closed the event with a stirring speech to whet the city’s appetite for 2021. She said: “I am delighted that Arts Council England is backing our evolving vision for 2021 as we seek to stamp our mark on the City of Culture initiative. “We are at a momentous time in the history of the city, the nation, the continent and the world. “We need to be courageous. Our brilliant artists and our creative pioneers are needed more than ever before to build bridges, integrate and connect communities and ensure we deliver a compelling and meaningful artistic programme. “Coventry, has always been a city without walls, borderless, welcoming, a sanctuary and a city of deep-rooted activism. “Our leaders created twin cities almost 80 years ago to build hope, inspire friendship and embrace peacefulness. Our legendary women led silent protests and were the original change-makers and our independent artists are driving a grass roots revolution. “We have a huge responsibility - with this public funding and the global spotlight - to harness our youthfulness, diversity and creativity - to be bold and brave, to challenge and stimulate, to remove inequality and devolve power. We can reimagine our identity in a new world. “Our programmes, both home and away, will take a long-term view, putting youthful attributes at the forefront, and seeking to develop relationships with communities in other edgy cities, like ours, across the world. “Our programmes will be community led, showcase different voices and embed culture into the DNA of the city - our attitudes, the landscape, city development and our narrative. “They will be rooted in the rich history and heritage of our people but will be future-facing. We will take a lead in global debates, be a test bed for new ideas, embrace our green future and experiment with creative applications of ground-breaking technologies. 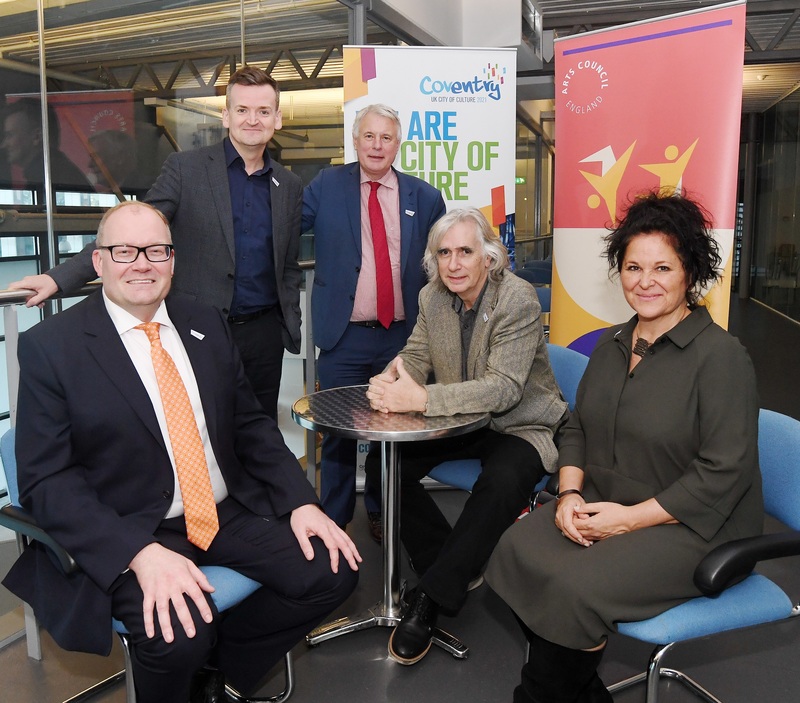 The gathering also heard from Martin Sutherland, Chief Executive of Coventry City of Culture Trust; Councillor George Duggins, Leader of Coventry City Council; and Professor Phil Redmond, who came up with the UK City of Culture concept.